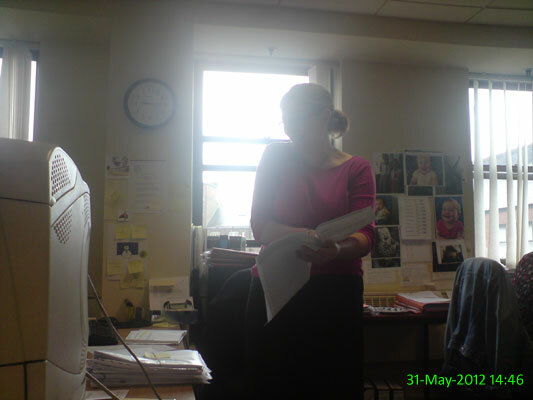 It's difficult to see the look of glee on her face due to the window behind, but Jen was extremely pleased to be clearing her desk on her last day at work. 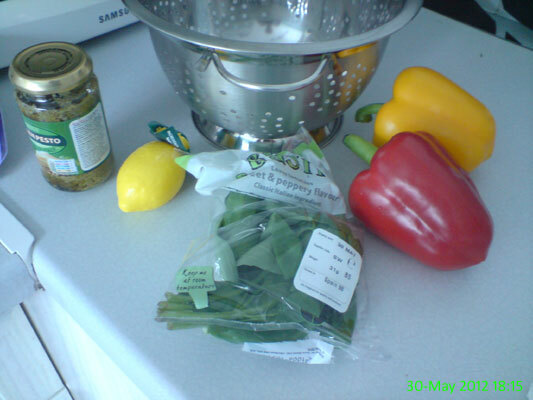 Some of the ingredients needed to make a pasta salad with chargrilled peppers for our buffet tomorrow at work. This little dude popped his head up to say hello as we strolled past Burradon Farm. 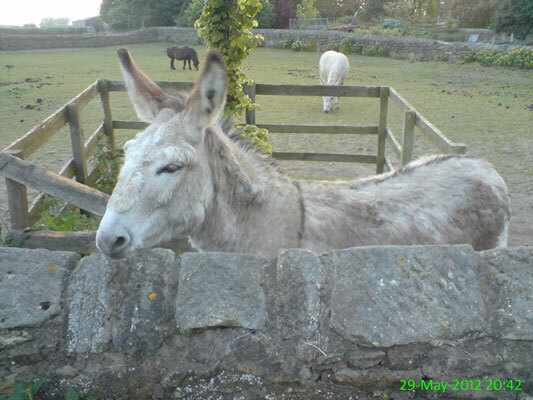 I want to say it's a donkey because of the ears, but animals were never my strong point. 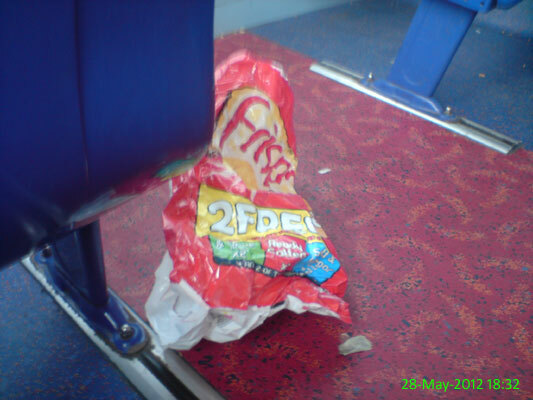 Litter on the bus seems to be bigger these days. I guess someone was hungry. Another sunny day means it's time to put factor 30 sun cream on my white legs. Maybe this is the summer where they'll finally develop a bit of colour. I live in hope. 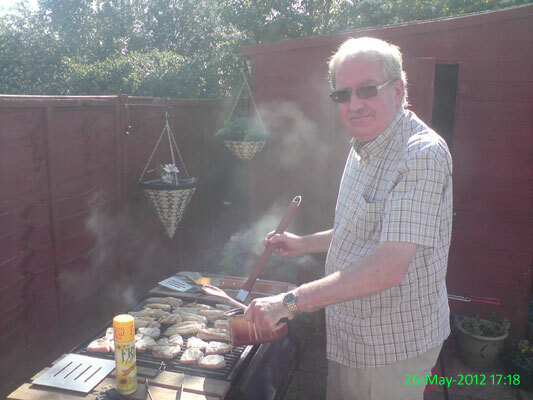 Chris cooking enough food to feed a small army at a barbecue to celebrate his 60th birthday and retirement. Jen (who sits next to me at work) is moving on to bigger and better things next week, so we went for a meal at Zizzi to celebrate. 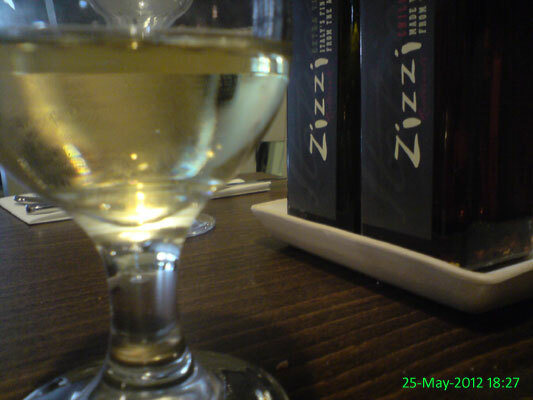 After a busy working week, a glass of cider and a tasty pizza is the perfect end. I recently purchased the season review DVDs for Newcastle's 09/10 and 10/11 seasons. I'm not stopping there though, 11/12 is on pre-order! There are plenty brilliant memories to go through. The view on a walk around the nearby fields. 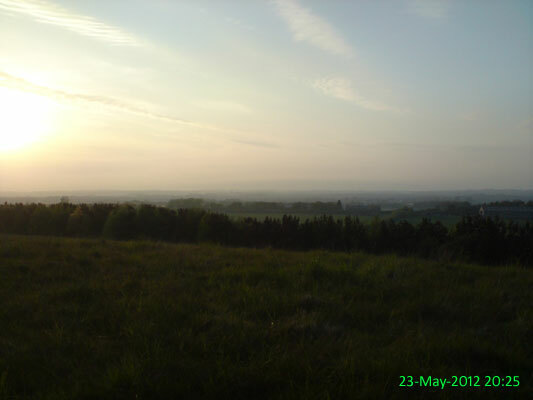 It was a little misty in the distance but I could still see for miles. 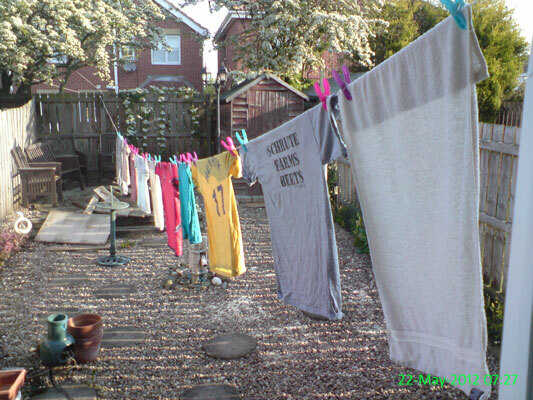 A bit of sunshine does strange things to people and in my case that involves hanging washing on the line before 7.30am. We could do with a prop though! 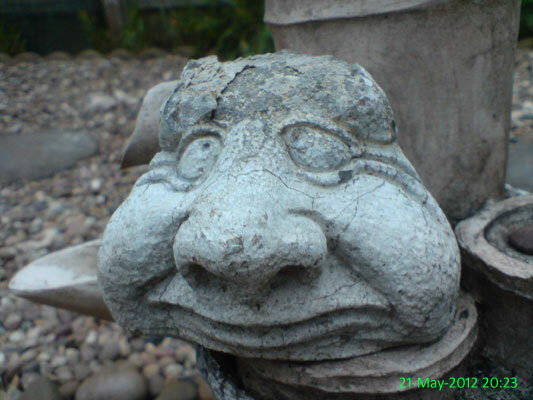 One of many slightly creepy garden ornaments inherited with the house. I'd throw it away but I don't think I could cope with the trauma if it went all "horror film" on me and reappeared. 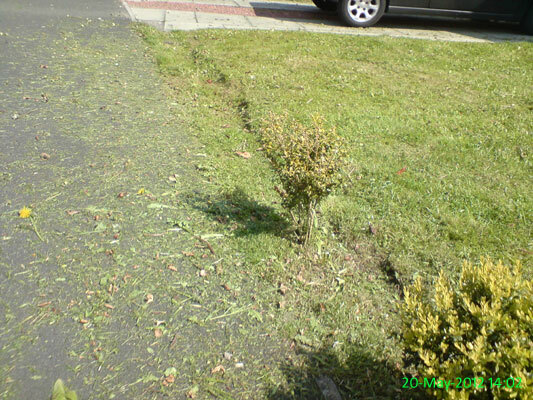 The first day of nice weather in ages and everyone in the street immediately decided to cut their grass. This person appears to be trying to extend their garden across the path! 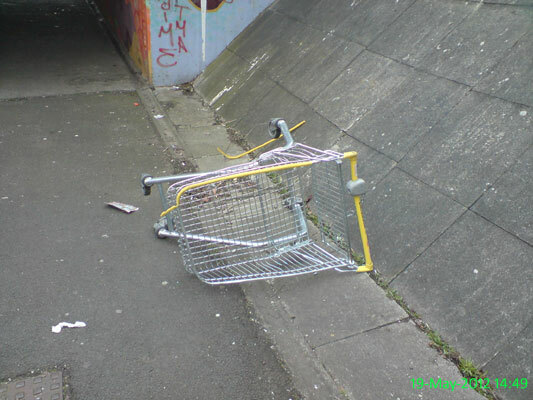 A rather lonely looking trolley. Coincidentally, I was on my way to the pub to get trollied. I don't often look around shops on my lunch hour but decided to have a stroll through TJ Hughes today. Nothing caught my eye. 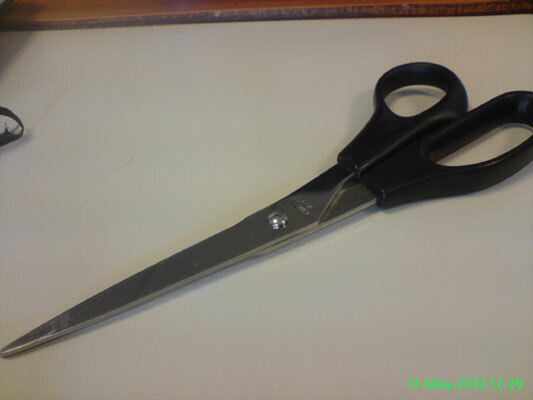 I seemed to have to cut lots of paper at work today and it would've been extremely difficult without these scissors. 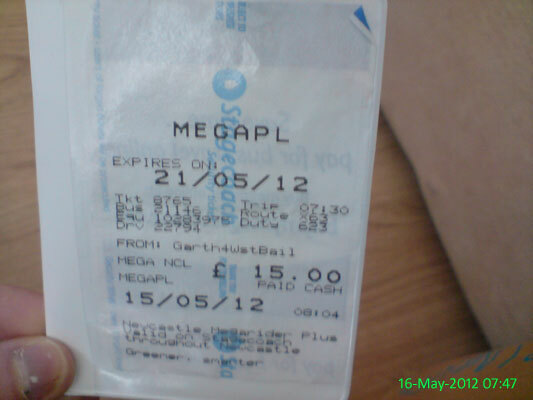 My bus ticket. I wasn't sure how I was going to make it last a week without getting completely mangled so I cunningly used the holder that came with the Council Tax payment card which we don't need. Coming back to work after a few days off is never pleasant but amazingly the pile of work waiting for me wasn't as horrendous as expected. 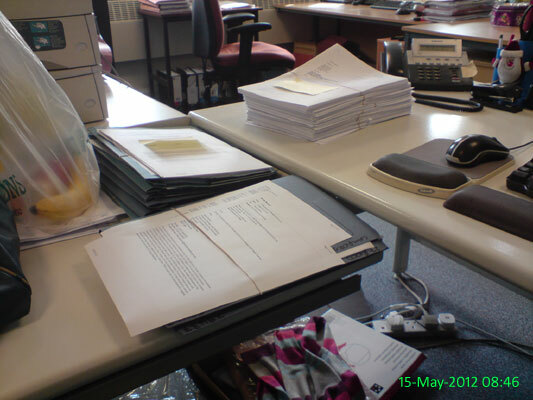 Unfortunately though, there were numerous tasks and emails to be worked on as well. 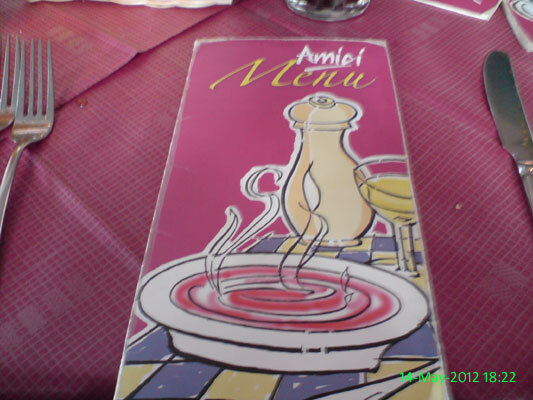 The family went for a meal at Amici to celebrate my mam's birthday. 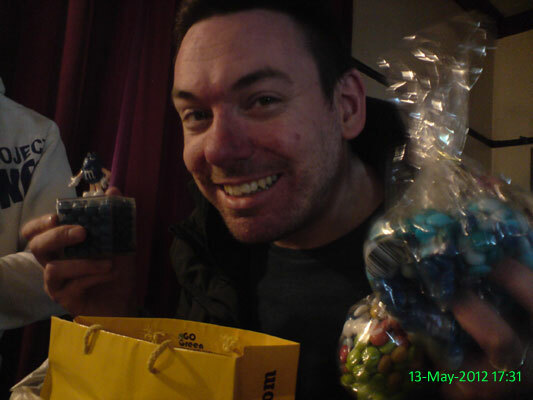 Stu displaying his numerous purchases from M&M World. 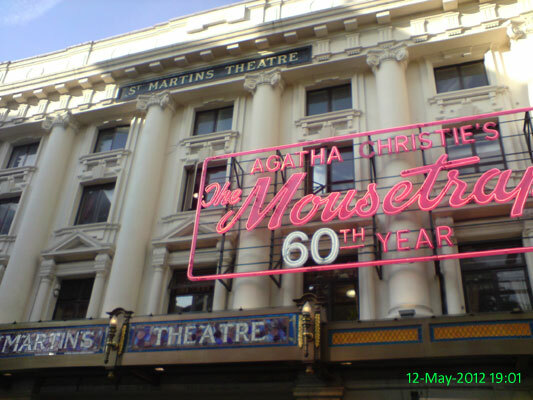 St Martin's Theatre, where we went to see The Mousetrap. It was excellent! 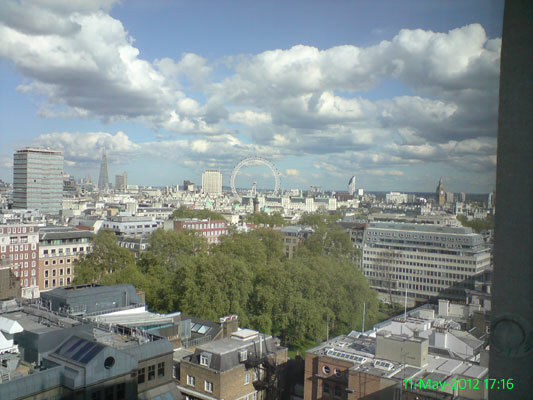 The view across London from the 14th floor of the Cavendish Hotel. 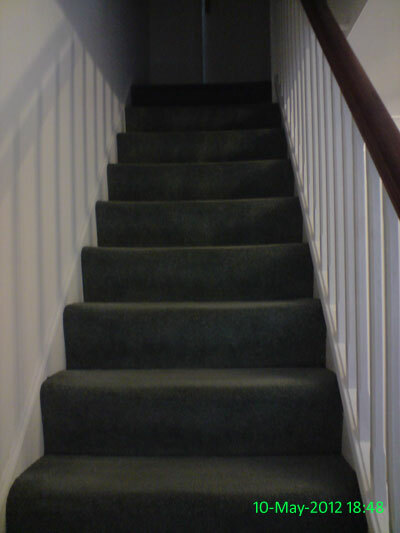 Having lived in a bungalow and several flats, it's a bit weird having somewhere with stairs. 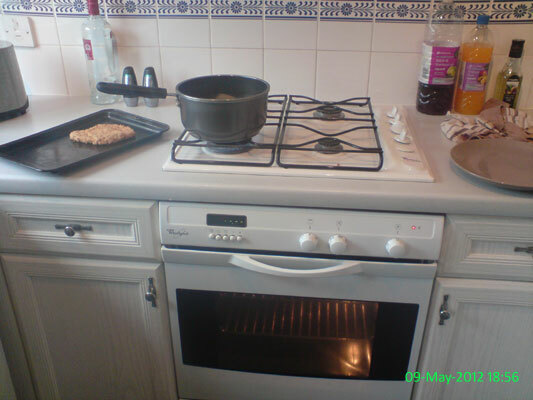 Cooking tea in the new kitchen. 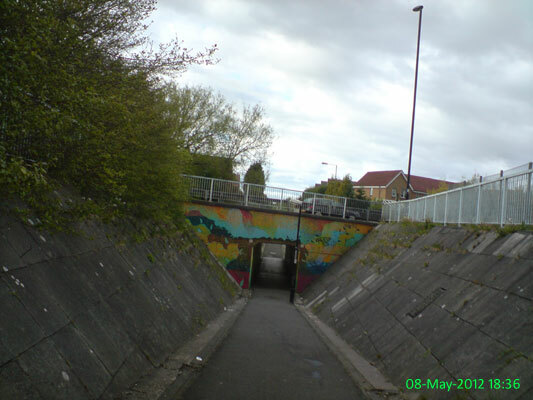 An underpass I go through on the way to and from the bus stop, where I like to play 'dodge the dog poo'. 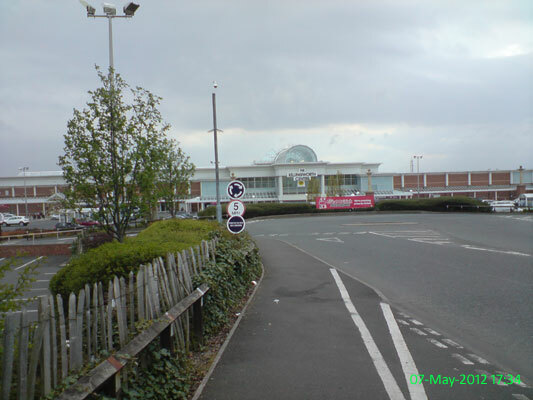 An exciting bank holiday Monday it was not - a trip to Morrisons was about the most thrilling thing going on. 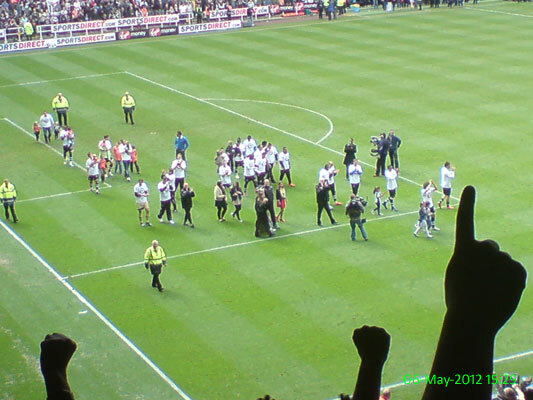 Newcastle players receive warm applause after the last home game of the season. 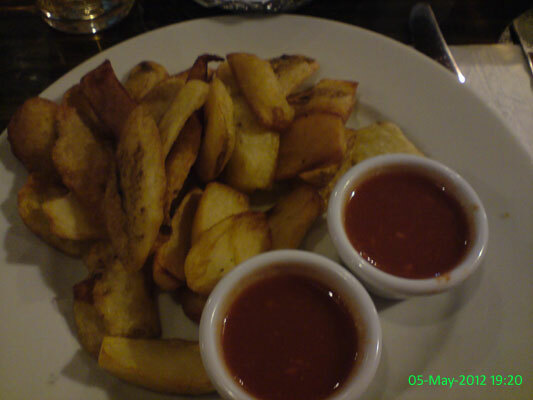 Always a favourite at Casa Antonio. 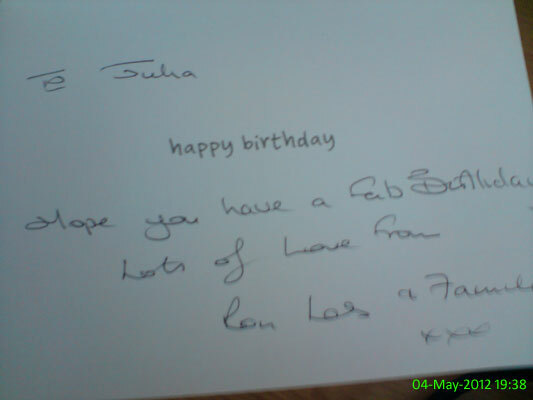 When a card came through the door addressed to Mrs J McNaughton I thought maybe one of my friends or relatives had sent a housewarming card but forgotten my name. Unfortunately when I opened it I that it was in fact meant for someone completely different, either one of my neighbours or a previous occupant of this house. 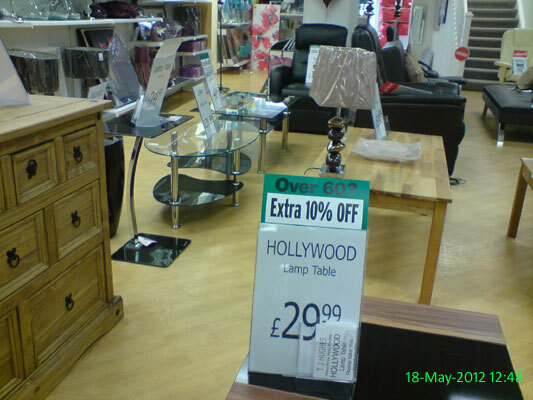 No money in there though..
New bed and bedside tables. 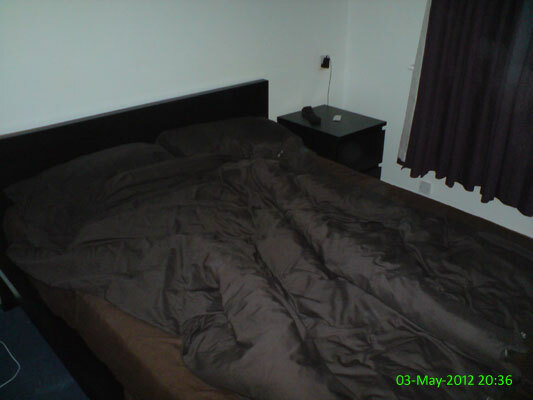 And no, I haven't made the bed. 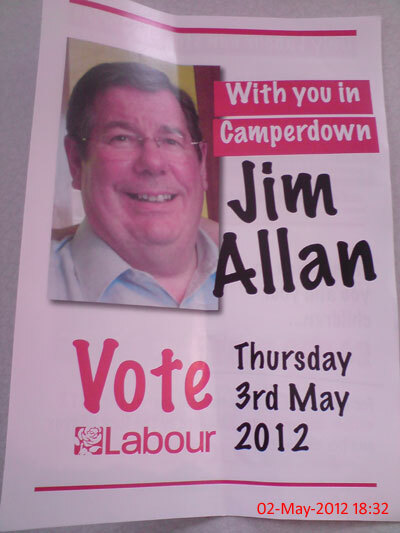 I've never voted and I don't live in Camperdown but I'm sure he's lovely. 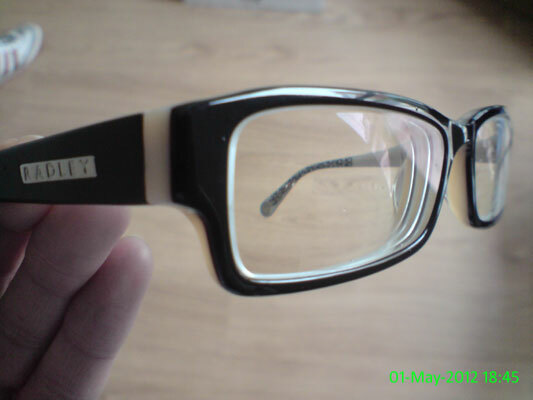 My new glasses, which aren't too different from my old ones.